To reach some of its younger clientele and advertise its financing services, JPMorgan Chase has been setting up Pinterest boards of luxury homes. As first reported by the Real Deal, the bank’s new marketing campaign generates online Pinterest boards of dream houses for people who fill out a questionnaire about their renovation goals. The site, which gets users to save pictures they like on themed online boards, is particularly popular among younger and female users. The campaign is done in partnership with reality TV stars Jonathan and Drew Scott — otherwise known as the Property Brothers, a popular home renovation show. 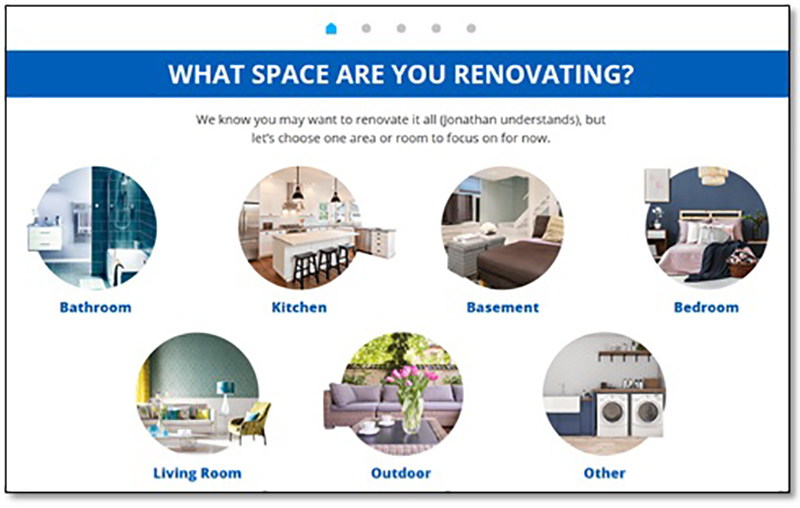 Users who go on Pinterest can choose a room they want to renovate, select a design and then receive photos of what their dream renovation would look like. Naturally, the financial institution also offers ways to finance the renovation. 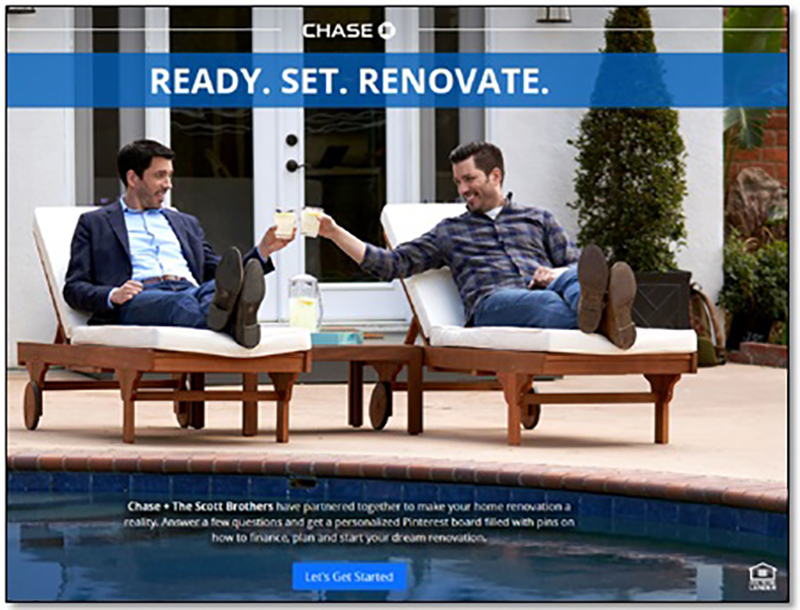 “Now customers with the desire to begin a home renovation project can get personalized, expert help delivered via Pinterest in a highly visual and digestible format,” Chase spokesperson Amy Bonitatibus said in a prepared statement. The move to Pinterest comes at a time when many traditional firms, both in finance and real estate, have been thinking of ways to use technology and social media to reach millennial audiences. According to the Real Deal, Chase’s CEO Mike Weinbach told a a recent New York City event audience that millennials make up around 30 percent of all people seeking purchase loans — of which 90 percent go toward current, rather than new, homes. This Pinterest strategy, then, is an attempt to reach that audience — according to Chase, over 17,000 people have already used the quiz in its first 60 days.